At Vision West we endeavour to make your optical experience a pleasurable one. Whether this is your first optical encounter, you are an optical veteran or have a special optical need, we have everything to meet your optical requirements. 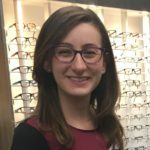 Our friendly professional staff will provide you with the best possible advice, products and service to meet your every optical need. All our staff are trained in their area of expertise, be it the Optometrist or Optical Dispenser our staff all have accredited qualifications in their field and participate in ongoing continuing education to keep abreast of the latest technology and changes in vision care. Vision West is an independent Western Australian practice, owned and operated by Paul Clarke and John Palassis. 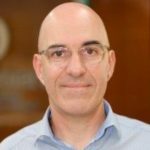 John graduated as an Optometrist from the University of New South Wales in 1987 with Honours, and is a Fellow of the Australasian College of Behavioural Optometrists(FACBO) and Fellow of the College of Optometrists in Vision Development (FCOVD) in the USA. John is also an Ophthalmic Medicines Prescriber having successfully achieved the Graduate Certificate in Ocular Therapeutics (GradCertOcTher). John is a member of Optometry Australia, the Contact Lens Society of Australia and the Orthokeratology Society of Oceania. Tse-Ling graduated with Honours as an Optometrist from Queensland University of Technology in 2005, also winning the QUT University Medal upon completing her degree. Tse-Ling worked both in Brisbane and Mandurah, prior to joining the Vision West team in 2011. Tse-Ling has experience in the field of Low Vision through work with the Association of the Blind since coming to WA. Tse-Ling is a member of Optometry Australia and the Australasian College of Behavioural Optometrists. 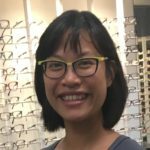 Tse-Ling is also an Ophthalmic Medicines Prescriber having successfully achieved the Graduate Certificate in Ocular Therapeutics (GradCertOcTher). Nadine joined the Vision West Team in January 2015. Although originally from Perth, Nadine completed her Optometry degree at the University of Auckland, where she graduated with Honours. She is an Ophthalmic Medicines Prescriber, having completed the Ocular Therapeutics Program as part of her degree. Further to her Optometry degree, Nadine also has a Bachelor of Science in Medical Science from Curtin University. Nadine is a member of ‘Optometry Australia’, and the ‘Australasian College of Behavioural Optometrists’. Mahsa joined Vision West in 2017. She completed her Doctorate degree in Optometry at the University of Melbourne in 2015. 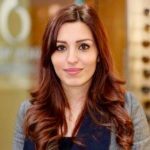 Mahsa is a certified Ophthalmic Medicines Prescriber, having completed the Ocular Therapeutics Program as part of her degree. Mahsa also has a Bachelor of Science degree, majoring in Human Biology, and has previously worked as a Cardiac Technician in the Cardiology Department. Mahsa has worked with Ophthalmologists and also within the Ophthalmology Clinic at the University of Melbourne. Mahsa is a member of Optometry Australia, the Australasian College of Behavioural Optometrists and the Orthokeratology Society of Oceania.